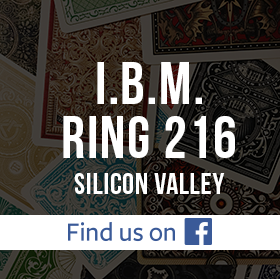 We’re looking for a few more good tricks. 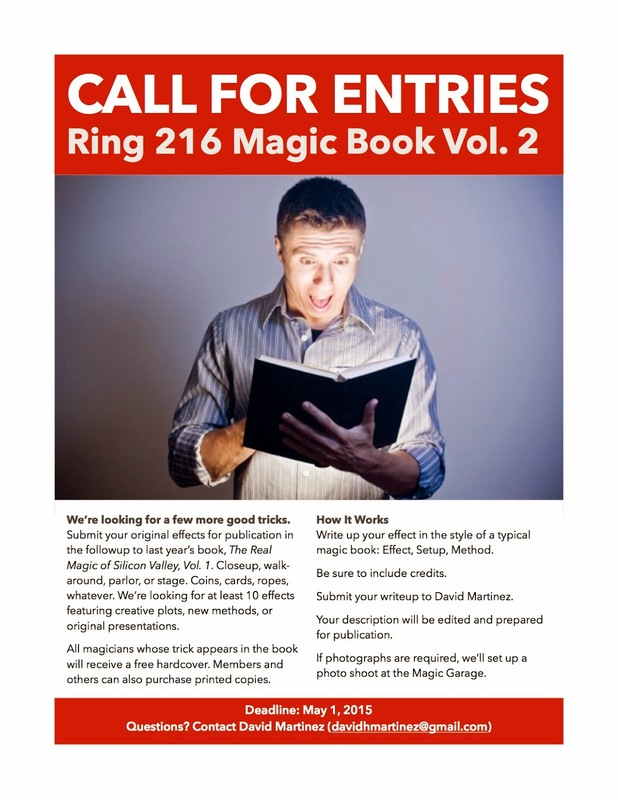 Submit your original effects for publication in the followup to last year’s book, The Real Magic of Silicon Valley, Vol. 1. Closeup, walk-around, parlor, or stage. Coins, cards, ropes, whatever. We’re looking for at least 10 effects featuring creative plots, new methods, or original presentations. All magicians whose trick appears in the book will receive a free hardcover. Members and others can also purchase printed copies. Write up your effect in the style of a typical magic book: Effect, Setup, Method. Be sure to include credits. Submit your writeup to David Martinez. Your description will be edited and prepared for publication. If photographs are required, we’ll set up a photo shoot at the Magic Garage.